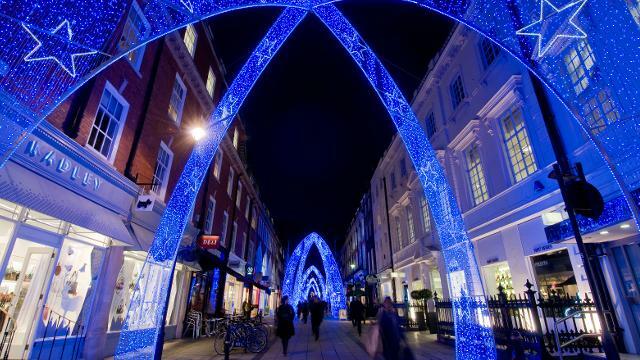 South Molton Street in Mayfair is an exclusive shopping hub just off Oxford Street. Its spectacular Christmas lights make it a top destination for shopping in the festive season. Admire the buildings' elegant facades and discover international luxury shops and cool independent boutiques. Go to Aubade to find top-of-the-range luxury lingerie, or head to Sandro for cardigans, leather jackets and elegnat cocktail dresses. South Molton Street also hosts several jewelers, and popular brands such as Pinko, Ted Baker and Maje. Is South Molton Street your business?